Senior care is an issue in this country that only figures to grow more serious over time. By 2050, the number of Americans older than 65 will double, according to the U.S. Census Bureau, to a total in excess of 83 million people. One Crystal City has a solution that could help the country — and its seniors — as resources strain to accommodate the Baby Boom generation: robots. David Pietrocola and Jude Kessler have founded Luvozo, which is developing a robot concierge service that can cater to the needs of the elderly and relieve the burden on staff members at assisted living and skilled nursing facilities. The pair each graduated from Trinity College in Connecticut at different times, and were connected by a mutual friend in 2013 when both were working in research and development for the Department of Defense. Both had an interest in robotics and a passion for helping the elderly. Within months, they founded the company together. 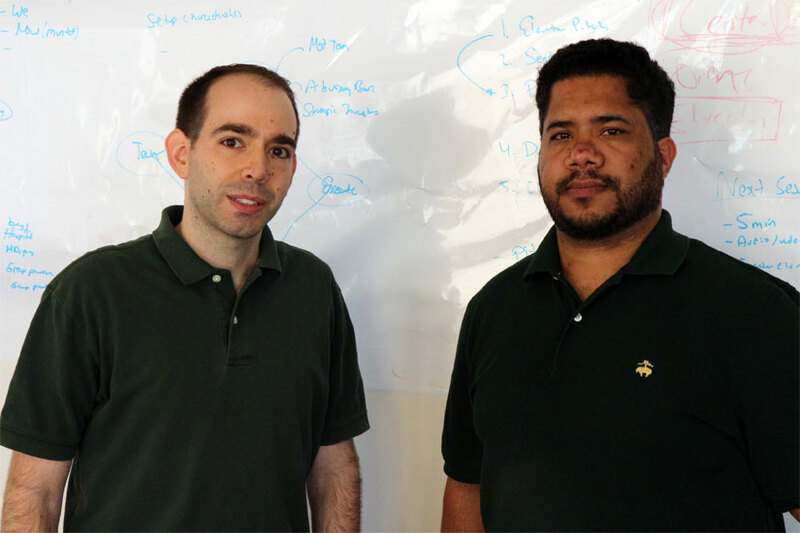 About six months ago, both left their government jobs to work at Luvozo full-time, with a mission: develop a prototype for a robotic concierge service, one that can fill the non-medical needs of the elderly while allowing care facility staff to focus on their medical needs. It’s taken the pair and one part-time staffer six months to build the prototype for their SAM platform — semi-autonomous mobot, it stands for — and they will begin testing next month at a 100-bed facility in D.C.
Pietrocola first started dabbling in robotics when he was at college, and since he’s been here, he founded the D.C. Robotics Meetup group (he stepped down as lead organizer earlier this month). 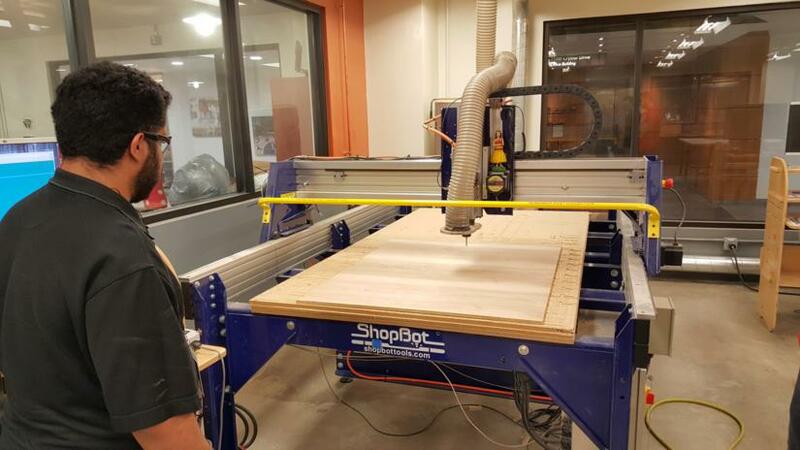 Now, it’s a career, and it’s been made possible by TechShop in Crystal City and LiftOff Health, the incubator just a few blocks away. 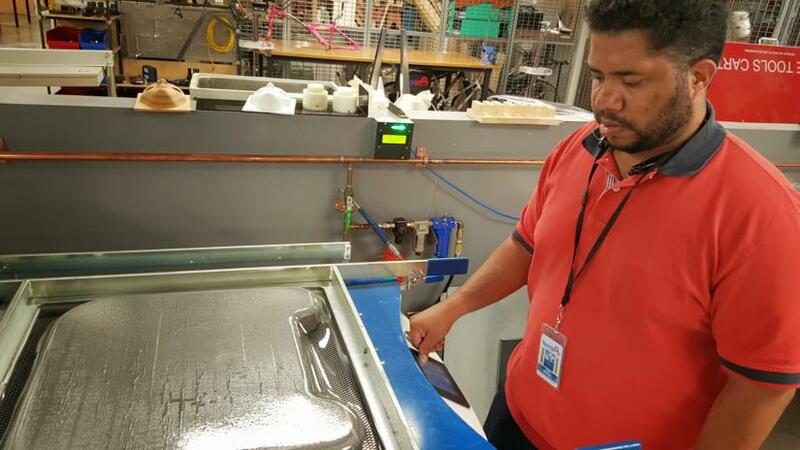 Using tools like the 3-D printer, laser cutter and software platforms designed for prototyping. Luvozo has been able to keep overhead costs low and stay bootstrapped to this point. The founders’ lean startup also allowed them to do years of market research, interview facility administrators, staff and residents. 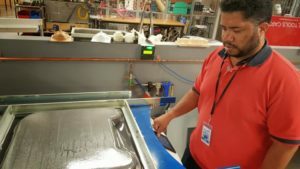 Arlington is one of the healthiest and safest urban municipalities in the country, and one Ballston-based company is trying to help make it healthier and safer. AthLights, founded by Daniel Staples, sells compact, lightweight LED lights that, paired with a rare earth magnets, give runners, walkers and cyclists a way to warn drivers of their presence when they’re out in the dark. 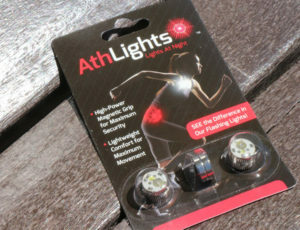 Athlights sells their product online for $9.99 in sets of two lights, with batteries included. Staples is a mechanical engineer who works for the Department of Defense in Alexandria, and he came up with the idea in 2012 while having a conversation with a friend who ran ultramarathons. In April 2013, he and cofounder Anthony Del Porto incorporated, designed a marketable prototype and found a manufacturer in China. They set up a website with an option to purchase directly that October, and they were off and running. The two former Virginia Tech classmates brought in a third partner, who put some of his own money into the company and, after having founded a few companies of his own, some entrepreneurial experience. They went to a running trade show and sold out of all their materials. In 2014, they increased their sales tenfold over their first year, and Staples said there’s no reason to believe they can’t repeat that in 2015. Athlights have partners lined up in the United Kingdom and Australia, and just signed a deal with Summit Distributors, which counts 8,000 independent sporting goods store among its clients. Staples also just signed a deal for a retailer with about 400 stores nationwide, although he can’t disclose the partner yet. For an engineer with no business experience, the entrepreneur path didn’t come naturally to him, and he didn’t fully know what he was doing when he started, he admits. But, despite a few hiccups last year, he said he’s reaffirmed by everyone he talks to who says Athlights is a great idea, and they wish they had thought of it themselves. Rosé wine sales in the U.S are increasing year after year. Why this change? Simply put: quality and affordability. 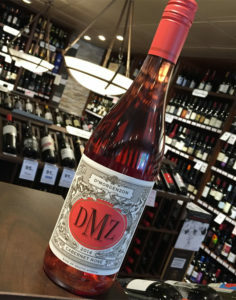 After decades of Americans categorizing any pink colored wine with the sweet White Zinfandel variety, the U.S wine consumer has discovered the light, dry, crisp, and perfectly fruity rosé wine. Winemakers, instead of using excess red wine grapes to make Rose, they are now growing those quality grapes specifically for rosé wines. As winemakers start off with the intention of making rosé from the beginning, the quality of these wines has improved dramatically. What makes rosés pink? A true rosé is not a blend of white and red wine. Instead, like red wine, rosé wine is made from red wine grapes. But instead of leaving the wine in contact with the pressed grape skin to ferment with the juice for an extensive period, rosé producers keep the skins in contact with the juice for only a brief period of time. Then the pinkish juice is drained from the skins, resulting in a color ranging from a pale pink to a deep salmon or coral. Winemakers make rosé from the red grape varieties traditionally grown in their particular region, grapes best suited to the local soil and climate. Rosés from the entire world typically display a range of colors, textures, and flavors. Yet all rosés have some common characteristics: they tend to be bright with great acidity, fresh, crisp and dry. The most popular rosé producing region in the world is Provence, France. There, rosé is a part of everyday life, widely embraced as the best lunchtime, seaside, and all-occasion wine. This spirit of Provence lifestyle has started to catch on. Wine makers from around the world are making more rosés than ever before as part of their wineries. Amazing dry style rosés are also being made from California to Virginia, and all at a great affordable price. 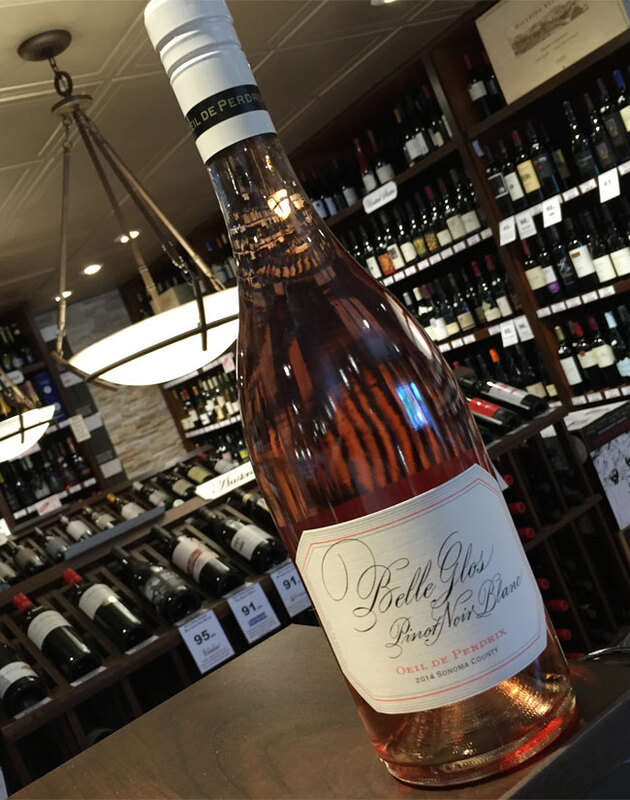 With the spring and summer here, this is a great time to come in and try a fresh 2014 vintage dry rosé for any occasion. Here are a few we are carrying right now. Rosé food pairings: Rosé’s versatility really comes out when it comes to food pairings. You can almost drink a dry rosé with any meal. For international cuisines, rosé pairs well with spicy Asian dishes, Mexican, Italian pizza, sushi and even Indian curries. American fare, rosé’s go well with burgers, salads and even soups and stews. With meat you can pair a rosé with any BBQ as well as ham, steak, turkey and veal. Fish and seafood, grilled fish goes extremely well with rosé as well as steamed fish and lobster. 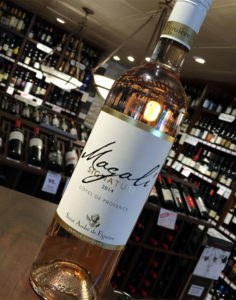 Magali is a classic example of a Provence Rosé with a blend of 25 percent Cinsault, 25 percent Cabernet, 25 percent Syrah and 25 percent Grenache. This wine is complex and has a delicious layering of fresh watermelon, citrus, pears and basil. A great wine as an aperitif while sharing with friends. From the same family of winemakers as Caymus, Belle Glos is known for their superb Pinot Noirs. A few years back they decided to jump on trend and started to produce a high quality rosé with the same grapes as their delicious Pinot Noirs. This rosé uses 100 percent high-quality Pinot Noir grapes and is a great example of California style winemaking. 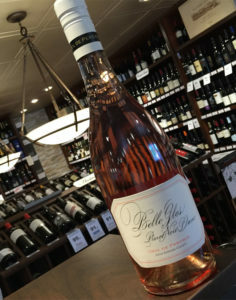 Belle Glos Rosé contains a vibrant salmon color and has rich flavors for strawberry, cranberry and green apple. A fuller bodied style rosé, which produces a lush mouth feel that is balanced with acidity. Pairs perfectly by itself or with a variety of summer foods. One of my favorite value rosés, DMZ retails for $10 and is the perfect summer BBQ wine. Using 100 percent Cabernet grapes, this rose is more full-bodied than your average rosé. Drinks fresh with tastes of juicy fruit, watermelon strawberry and a touch of sweetness and minerality. Perfect companion to take to a friend or family’s BBQ. 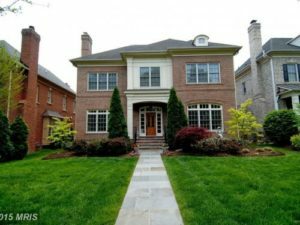 We’ve hit the halfway point of May and Arlington is experience its biggest real estate week of the year to this point. Happy hunting. 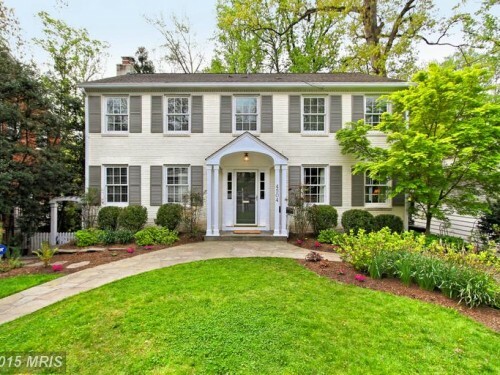 Open: Sunday, May 17, 1:00 to 4:30 p.m.
Open: Sunday, May 17, 1:00 to 4:00 p.m.
Open: Saturday, May 16, 1:00-4:00 p.m.; Sunday, May 17, 1:00-4:00 p.m.
Open: Sunday, May 17, 2:00 to 4:00 p.m.
For the last month of school, the Arlington County Police Department will devote more resources and officers toward preventing crime in county middle school and high schools. 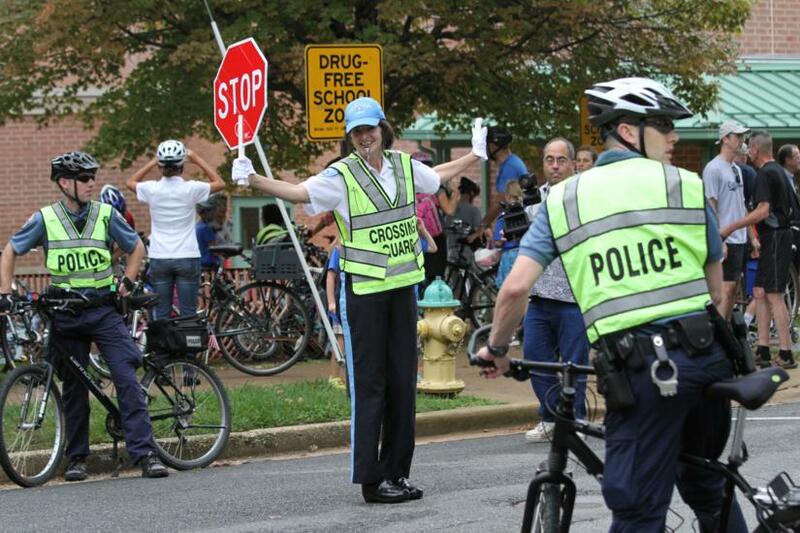 School Resource Officers will conduct “saturation patrols” and educate students about the dangers of drug and alcohol use. Until school lets out June 18, ACPD plans to put more officers at malls, parks and community centers around Arlington. Police will also have a heightened presence at school and community events. The initiative coincides with the department’s efforts to curb underage drinking and drinking and driving during prom season. (Updated at 10:30 a.m.) Arlington is a “No Drone Zone,” the Federal Aviation Administration is reminding residents and visitors. The FAA launched a public outreach campaign this week to try to stop the use of unmanned aerial vehicles in the federal restricted airspace around D.C. It comes as a man was detained for flying a drone near the White House for the second time this year. The area within a 15-mile radius of Reagan National Airport is restricted airspace, and all aircraft must get approval, even the small, remote-controlled kind. The FAA says the D.C. region’s airspace is the most restricted in the county. It’s been tightly controlled since Sept. 11, 2001. Now, the new campaign is aimed at reminding residents and visitors of the area that nothing has changed. The FAA is rolling out a GPS-enabled smartphone app that tells users when they are out of restricted airspace. 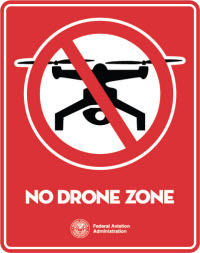 They will also be providing materials to local jurisdictions — including Arlington, which sits entirely within the “No Drone Zone” — to educate their residents on the policy. The Arlington County Police Department now has a permanent replacement for retired Chief Doug Scott. Arlington County Manager Barbara Donnellan announced today that acting chief Jay Farr will ascend to the permanent job after serving in Scott’s stead since March. 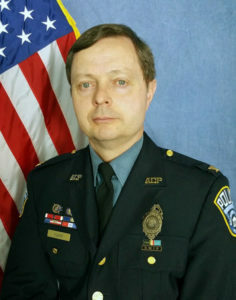 Farr has previously served as deputy county manager and deputy chief of police for systems management, operations and criminal Investigations, and has served in the ACPD since 1990. Donnellan said she conducted a nationwide search, but determined the right person for the job already had it. Farr is a former U.S. Marine who served on the presidential helicopter detail before becoming a police officer. In addition to leading the county’s police, he’s also teaching future officers: he’s an adjunct professor of criminal justice at George Mason University and teaches for the University of Phoenix. 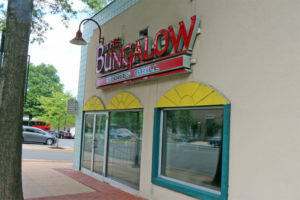 (Updated at 3:35 p.m.) Next month, the Bungalow Sports Grill plans to close its Shirlington location. 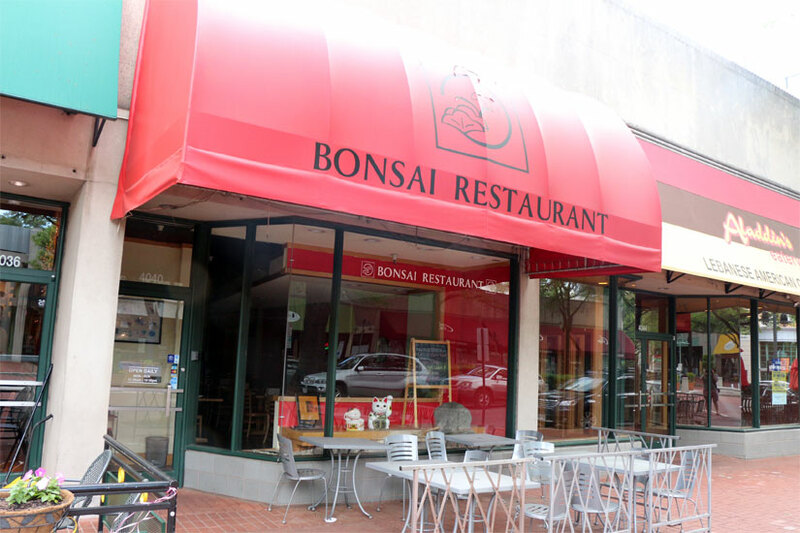 Yesterday, the doors of Bonsai Grill were locked and the lights were off in the restaurant, indicating the Japanese restaurant has likely closed. If Bonsai doesn’t reopen and Bungalow indeed closes on June 10 — when manager Carla Marquina tells ARLnow.com it will — the two businesses will be added to the growing list of Shirlington establishments that have fallen by the wayside, and more could be on the way. 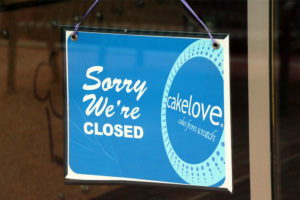 Since last October, counting Bonsai and the Bungalow, seven businesses in the Village at Shirlington have closed: Bloomers, Periwinkle, Aladdin’s Eatery, Cakelove and The Curious Grape are all gone. Other than the Curious Grape, whose space was quickly taken over by an Italian restaurant, all of the spaces remain vacant. With the vacancies have come less foot traffic and rising frustrations, business owners say. Some are blaming Village of Shirlington owner Federal Realty Investment Trust for their woes, saying the company keeps raising rents even as tenants struggle in a local economy that seems to be slowing. Marquina, the Bungalow manager, said landlord problems are the reason that the neighborhood sports bar, which has occupied its large space off S. Randolph Street for decades, is shutting down. 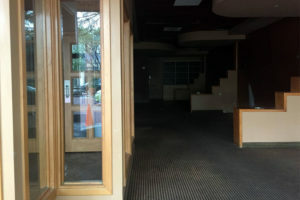 While some vacancies have filled — the Extra Virgin space that has sat empty for two years will soon be home to an art-themed restaurant called Palette 22 — many others remain, and even store owners who say they have “a great relationship” with FRIT say they wish the Bethesda-based real estate firm would step up its effort. When Periwinkle closed, its owner told ARLnow the rent was too high, a refrain repeated by at least five business owners we contacted. According to multiple business owners, FRIT raises rent every year — a not uncommon practice for commercial and residential real estate — despite what they see as declining foot traffic. Along with Palette 22, FRIT is renovating Shirlington’s AMC movie theater and Powell said they are expecting to make “another exciting new lease announcement” soon. 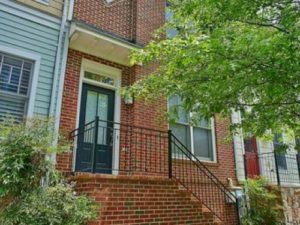 Regardless of Shirlington’s future businesses, some of its current tenants remain deeply dissatisfied. The first owner said she’s not sure how much longer she’ll be able to stay open. She said she doesn’t take home a salary and works 14 hours a day, seven days a week. One group of young Republicans, hoping to lead a change in the way the GOP talks about gay marriage, is holding an event in Clarendon to discuss it next week. NextGenGOP, a Virginia group hoping to push statewide Republicans forward on social issues, is hosting a “Freedom to Marry Happy Hour” on Wednesday, May 20, from 6:00 to 8:00 p.m. at Mad Rose Tavern (3100 Clarendon Blvd). The event, praised by Washington Post opinion blogger Jonathan Capehart, is aimed directly at millennials who, even among Republicans, largely support marriage equality. “Our members believe not just in economic freedom, but also personal freedom,” the group said in a press release. “We believe in tolerance. We believe in the rule of law, and equality under it. 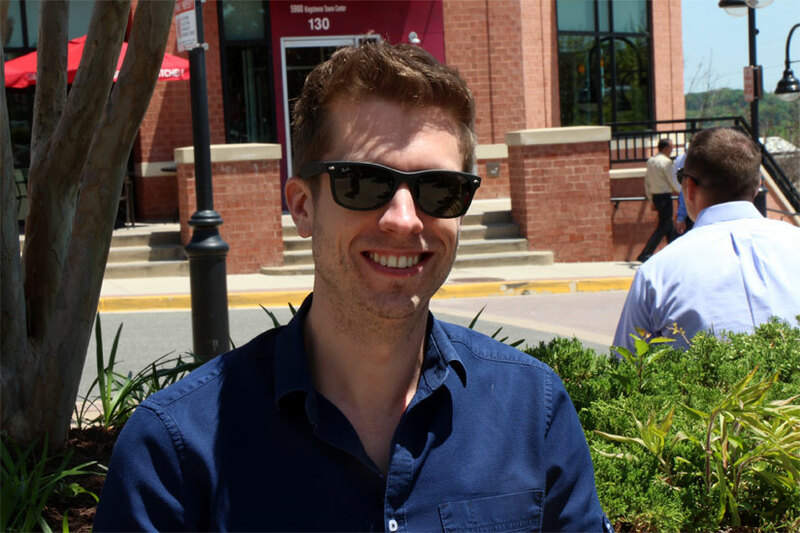 One of the group’s leaders, and the event’s organizer, is Cameron Kilberg, former Virginia assistant secretary of technology under Gov. Bob McDonnell and founder of Disrupt Fitness. The event is free, and anyone can RSVP online. 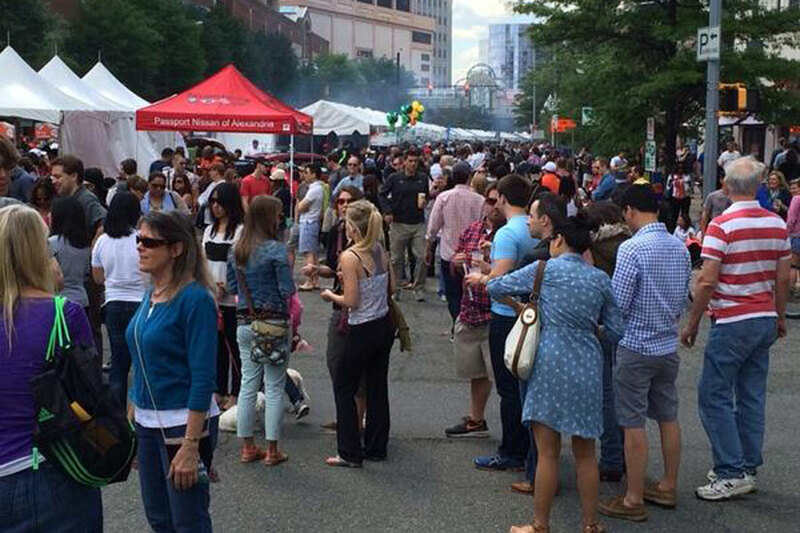 The annual street festival in Ballston, celebrating the restaurants of Arlington, is back on Sunday from noon to 6:00 p.m. This year, Taste of Arlington will feature 49 restaurants and a beer and wine garden that’s bigger than ever. Booklets of tickets for tasting and drinking are on sale now. Stop by the Ballston farmer’s market tomorrow evening, from 3:00 to 7:00 p.m. at 901 N. Taylor Street, for a $25 packet of 10 tickets. If you purchase on the Ballston Connect mobile, app, a packet costs $30. Packets purchase online are $35 and packets purchased at the festival will be $40. Tickets to the VIP pavilion, with unlimited beer, wine and hors d’oeuvres provided by SER, cost $100 online, and $110 at the festival. The festival will close down the streets of Ballston all day: Wilson Blvd from N. Glebe Road to Quincy Street and Stuart and Randolph streets from Wilson to 9th Street N.
In addition to the restaurant booths, beer and wine garden and VIP pavilion, there will be three stages for live music, a Kids Zone with games and face painting and the return of the World Pup Tournament, which costs $10 to enter one’s dog to participate. The restaurants in attendance will compete for a “Best of the Best” food title in the following categories: Best Appetizer, Best Fast Casual Entrée, Best Fine Dining Entrée and Best Dessert. The judging will be held at 3:00 p.m. in the VIP pavilion and the winners will be announced at 4:00 p.m. on the main stage. 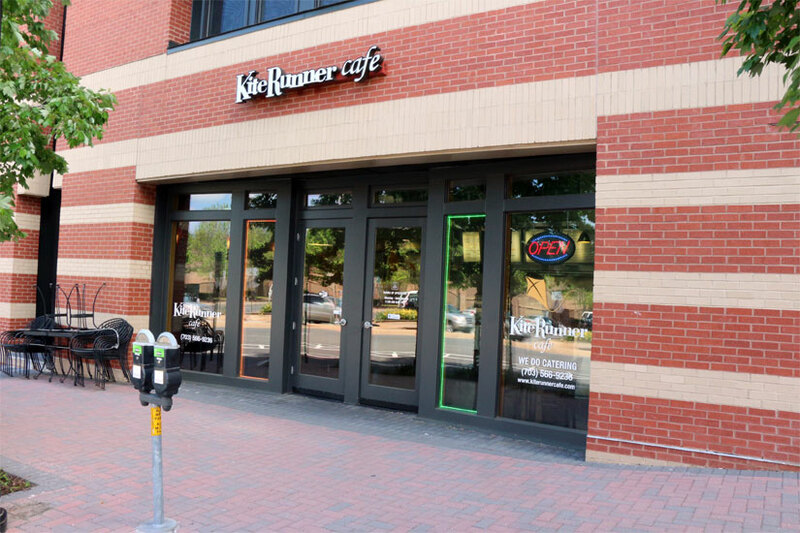 Kite Runner Cafe, the critically acclaimed Afghan restaurant at 3800 Lee Highway in Cherrydale, will close tomorrow afternoon. In its place, possibly in a month, will be Gaijin Ramen Shop, the second ramen shop coming to Arlington after Yona in Ballston was announced last year. 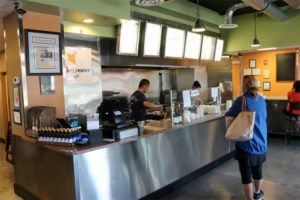 Kite Runner owner Homayon Karimy told ARLnow.com this afternoon that he’s selling the business, which opened two years ago this month, to spend more time close to family. Karimy, a native of Afghanistan who came to Northern Virginia in the late 1990s and spent a decade at Lebanese Taverna before striking out on his own to start a restaurant serving the cuisine of his birthplace. Now, he said, he’ll take a month off, then go back to school, hoping to graduate in a few semesters and re-enter the hospitality industry. 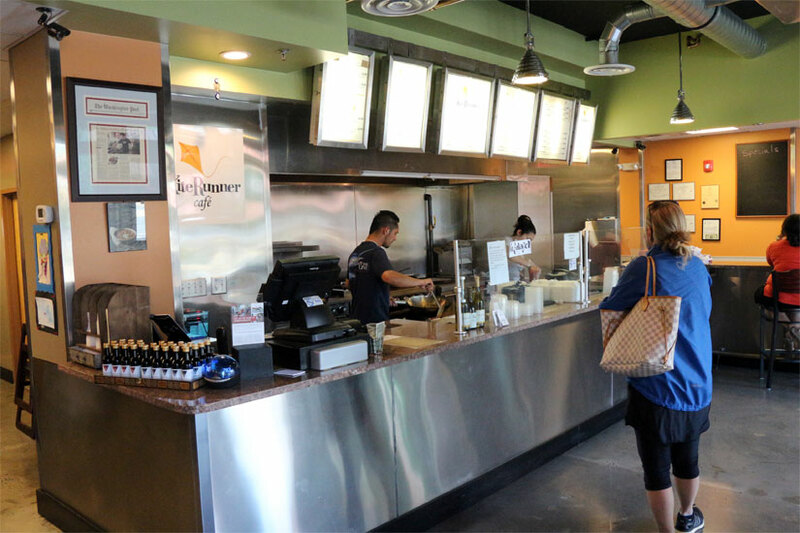 The ramen shop, he said, plans to do minor construction on the interior before opening.